The limestone caves of Old Cruik Hollow are at the head of a box canyon and show the signs of decades of use by various groups over the ages. Stairs have been cut into the floor of the cave on the left leading into the upper caves. Sections of the caves have been closed off with wooden walls and doorways – and a small tomb was cut into the looping cave and then more recently converted into a storage space. These days the upper caves are home to a small group of bandits, exiles and outlaws from the nearby town. Their leader, Ola Zeldade, escaped town when they began growing scales as they are actually at least one quarter naga, and are in the midst of the slow transformation into a more naga-like form. The lower caves have two old statues of manifestations of a pair of minor earth deities. Ola’s gang always posts a pair of fake “priests” down here to divert inquiry and chase away interlopers. 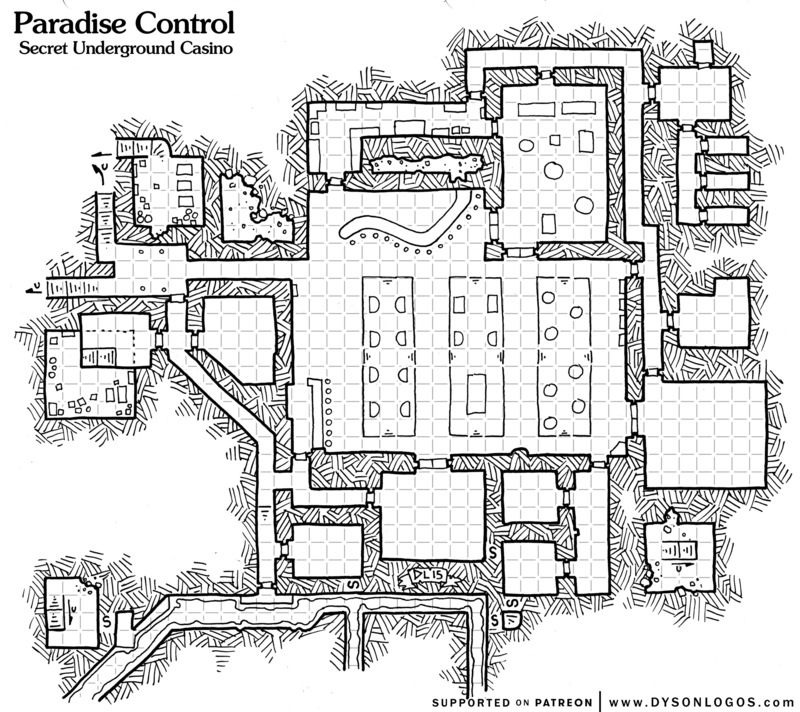 Venture with me to 1979 and my first encounters with kobolds and other darstardly goblinoids. 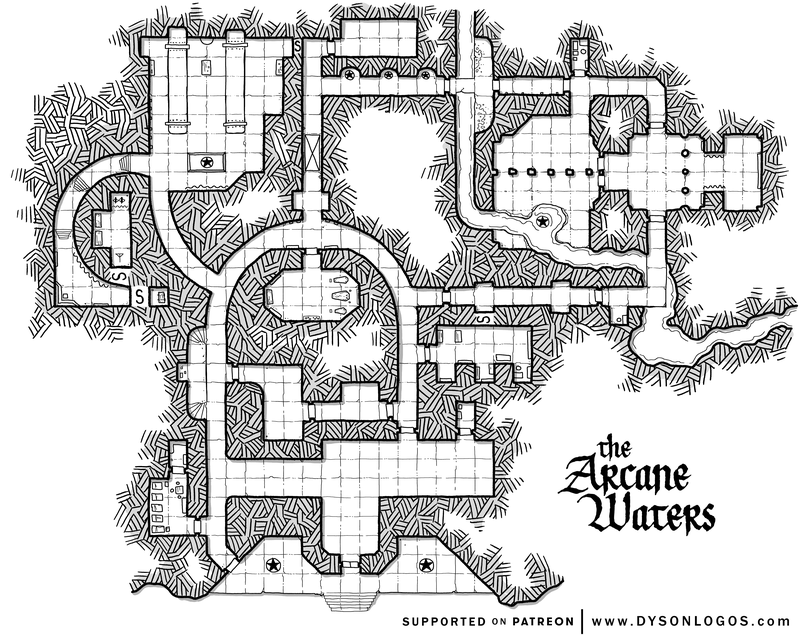 For today we are investigating six caves (some interlinked) in the dreaded Caves of Chaos. The two orc tribes live next door to each other, although the tribe on the right has significantly more living space within their caves. 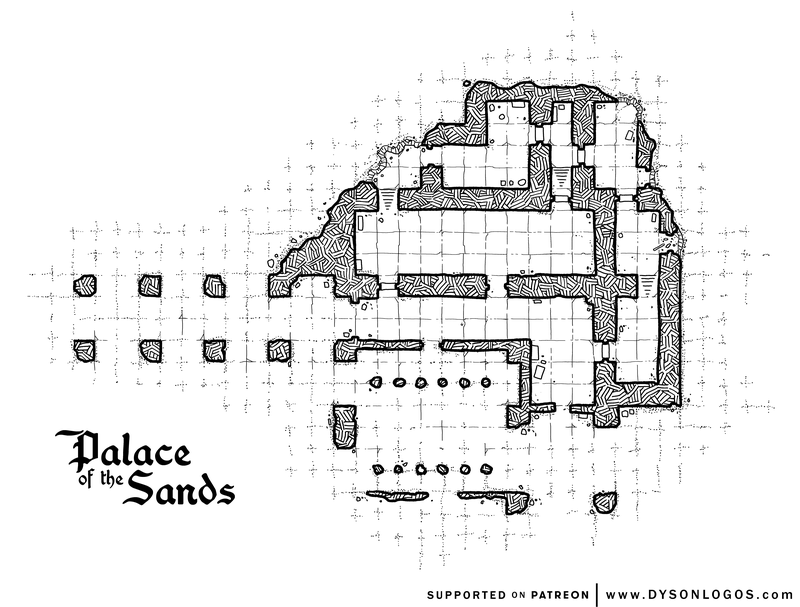 They also have the distinct downside of being closer to the floor and to the entrance of the box canyon, making them one of the most likely lairs to be attacked by raiders or adventurers. 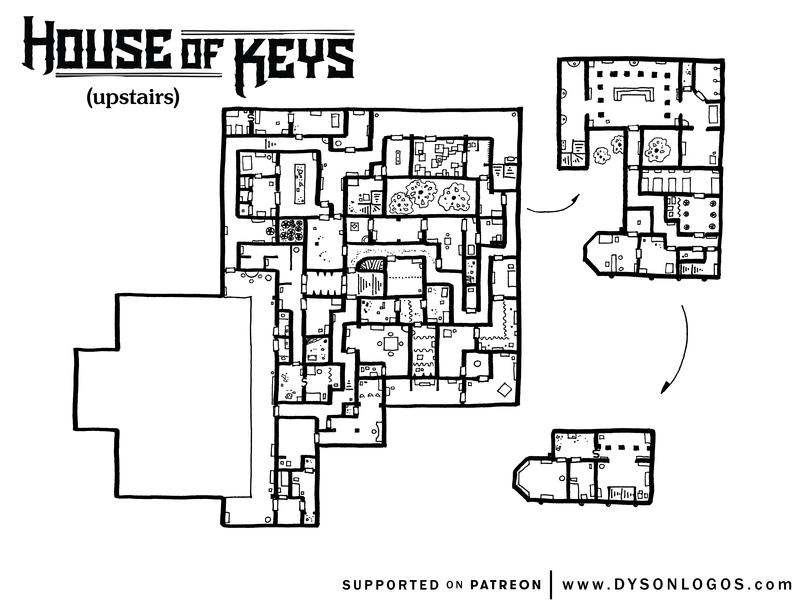 The leaders of the clans also have a secret meeting space because sometimes being orcs is enough to keep you together when things are getting rough. On the south side of the box canyon are three goblinoid caves. 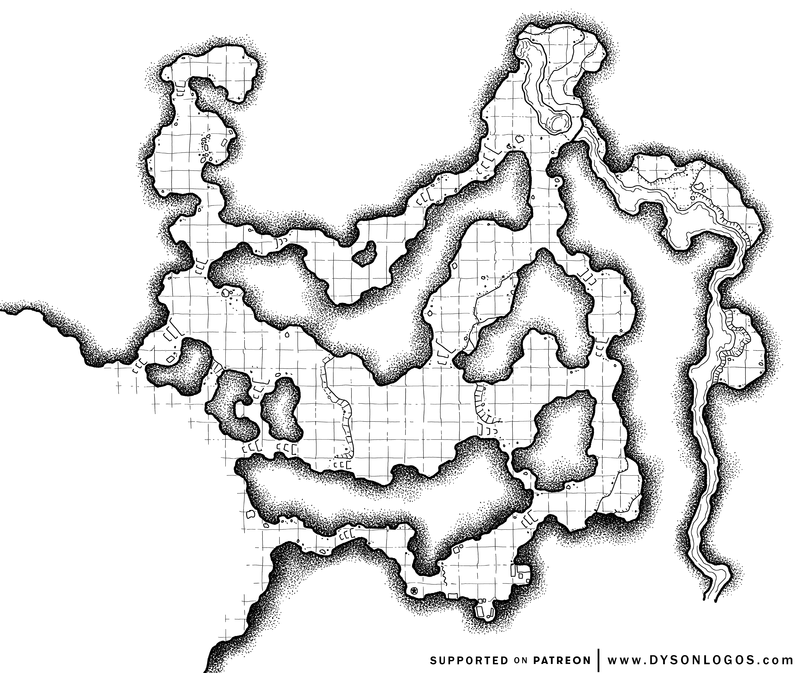 Inhabited primarily by goblins (down near the entrance of the box canyon) and hobgoblins (higher up and deeper into the canyon), these two labyrinthine cave complexes link to each other and a third – the small cave of the local ogre, one of the more frightening and potent humanoids in the area. Pushing out of the cliff face like a partially exposed egg, this small dungeon complex was evidently not built here but transported in some manner. Either that, or the craftsmen were purposefully annoying in the design as the whole interior structure is at an uncomfortable 7 degree angle with the right edge of the map being slightly more than 36 feet above the height of the entrance doors. In addition to the awkward angle, the interior of the structure bears a strong scent like a mix of musk and nutmeg. The walls and floors are painted gold, but are scratched up badly enough that most floors and west walls appear to be grey stone with gold streaks on them. Doorways, where open, have golden hair on them from some mighty beast having to squeeze through. 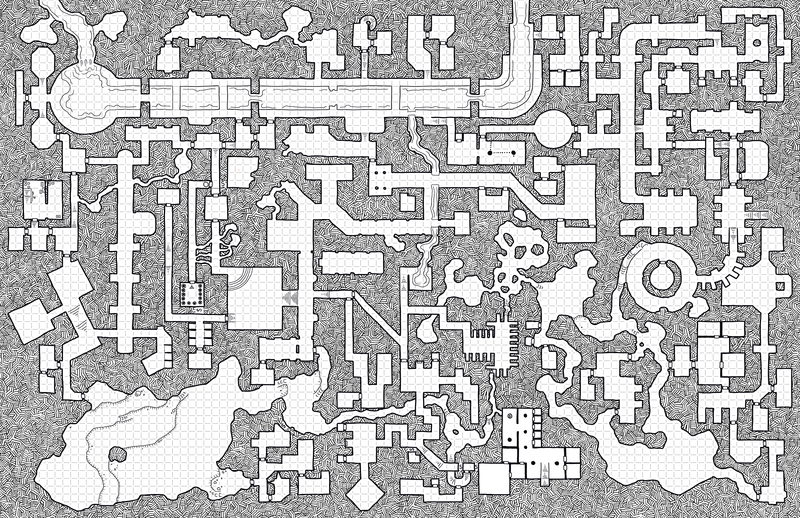 Prowling this space, of course, is the Golden Wolf – an extraplanar beast that must squeeze to push through the 4 foot doorways and is much more comfortable in the wide circular hall of the complex. All doors here open as it approaches, but are often stuck for others. The Golden Wolf guards its treasure jealously – the carcasses of seven platinum geese, each with its neck snapped. Up in the Fox Hills is a small monastic order. They make mead and honey, study liturgical texts, and commune with their god of the harvest. The monastery grounds include a number of stout stone structures of which the Oratory of the Eleventh Blessing is usually the first seen (and typically the only structure visited by outsiders). The oratory’s main purpose is to provide a worship and study space for the residents as well as a greeting and meeting area for guests. Tucked between these are a small number of cells for scribes to work in (and the heavy stone structure makes these cells plum work spaces in the summer, and harsh punishment in the winter). The sign hanging from the tavern shows a matronly woman carrying a large mug of ale while holding a finger to her lips in the near-universal symbol for being quiet. But the tavern itself is rarely quiet – it is one of the few places in town with a dedicated stage for musicians and entertainers and thus attracts a boisterous if friendly audience. The Quiet Margose is primarily made of wood, supported by 16 heavy stone pillars. The main structure is flanked by a covered biergarten on one side, and a space dedicated to the owner’s quarters and a covered wagon entry where firewood is stored on the other. The stone pillars predate the Margose and were part of a prior structure here and still bear wards against evil from the older building. The walls are whitewashed wood, and the very high roof is made of heavy beams supporting pitch-black tiles. 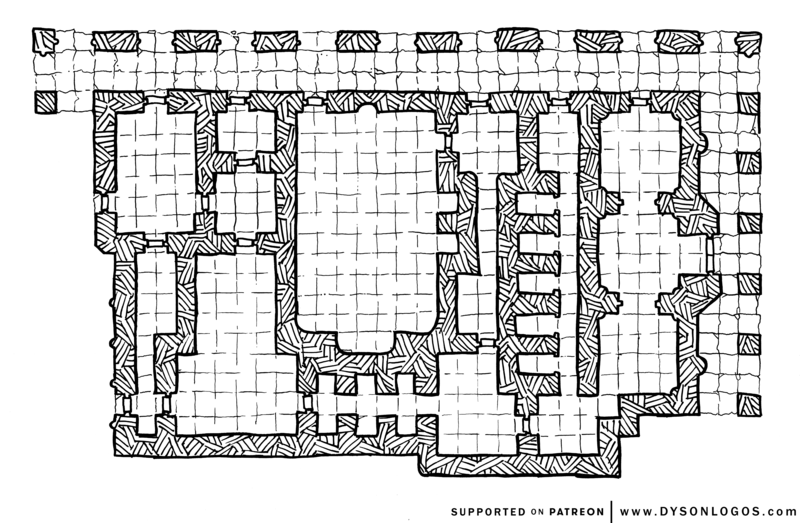 The Quiet Margose is purely a tavern and offers no accommodations (although it isn’t uncommon to find or or two people “napping” at the long tables by the banked fire in the early hours of the morning). The owner, Tirril Lor, is the great-nephew of the titular Margose and books the entertainment himself – leaving the acquisition and preparation of food to the Qai twins who work the kitchen and live nearby. 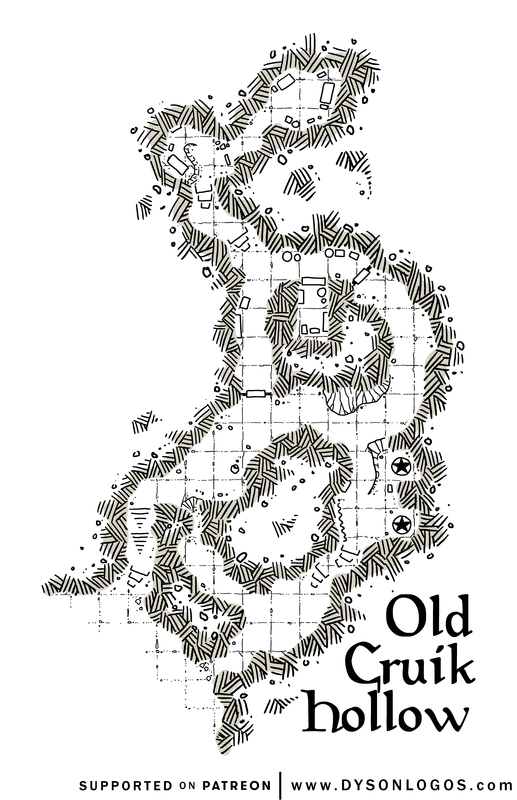 Cut into the foggy clefts of the Steaming Mountains, the Maze of the Storm Witch must be navigated (or the whole mountain climbed over) in order to reach the Pale Divide. Unnatural mists fill these passages, obscuring the already confusing twists and turns. The maze is also specifically designed to prevent the most common method of exploring such a space – if an adventurer uses the “left hand rule” (or even the “right hand rule”) they will not find the way through, but will instead eventually find themselves back at the entrance instead. That is, if the storm witch’s blindsighted grimlocks don’t get you first. This map was specifically drawn to show how a 3D structure can easily break the “left hand rule” for navigating a maze. It was also originally called the Labyrinth of the Storm Witch, but regardless of every dictionary disagreeing with them, there are those who feel it is important to point out that labyrinths are ONLY unicursal in design.